Description: 3x9 two color Chris Botti / David Sanborn 2005 concert handbill. 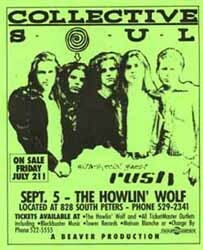 Description: 9x11 Collective Soul 1995 concert handbill. 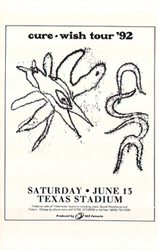 Description: 5x7 The Cure | The Cranes 1992 concert handbill.